These are plastic models made by made by Model International in the original Alt Berlin package. Kits are out of production and hard to find. These kits feature: metal axles, copper plated parts, glazing, each kit molded in 3 colors, instructions with exploded view. Scale 1/87 HO. 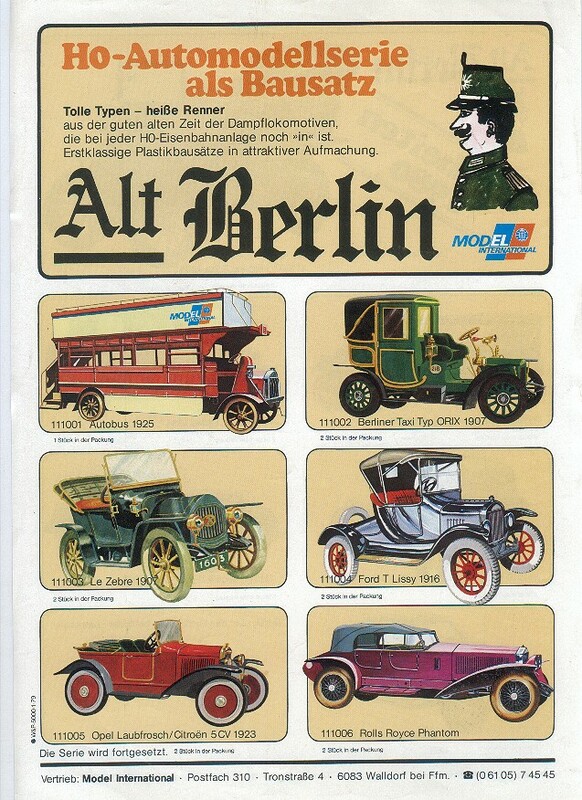 Although called 'Alt Berlin', this series of 12 kits of vintage cars was actually made by EKO in Spain where they were commonly known as 'Genovevas'. 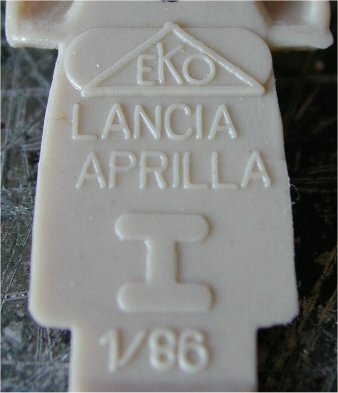 The models were originally released by Anguplas as ready-made models, but when the Anguplas moulds went to EKO, and after EKO reworked these moulds, the models were rereleased as kits in 1979. The main differences between the original Anguplas and the reworked EKO models is the different wheels and the additional detail. 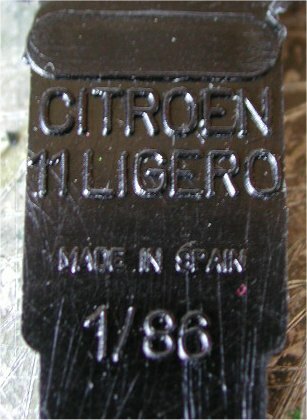 The models have also been sold under the Model International name. The kits have only been available for two years. The kits were sold in a blister package, each package containing two models in the same colour, an instruction sheet and a small catalogue. Packages that have models in different colours do exist but are very rare. Several years ago some of the kits reappeared as Aneste and On The Road kits. 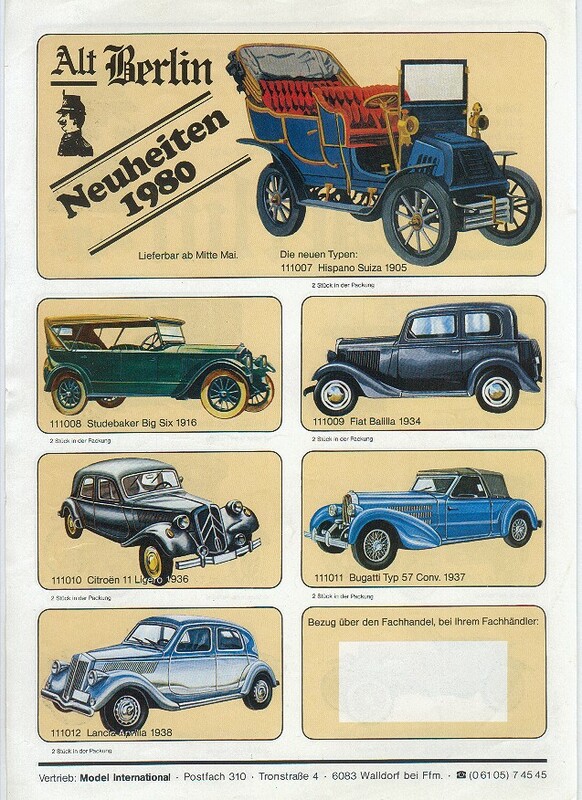 Click the thumbnails below to have a closer look at a Modell International flyer.